Museum of Brisbane uncovers the most comprehensive photo record of early Brisbane, exploring one man’s fascinating views of a bygone era. 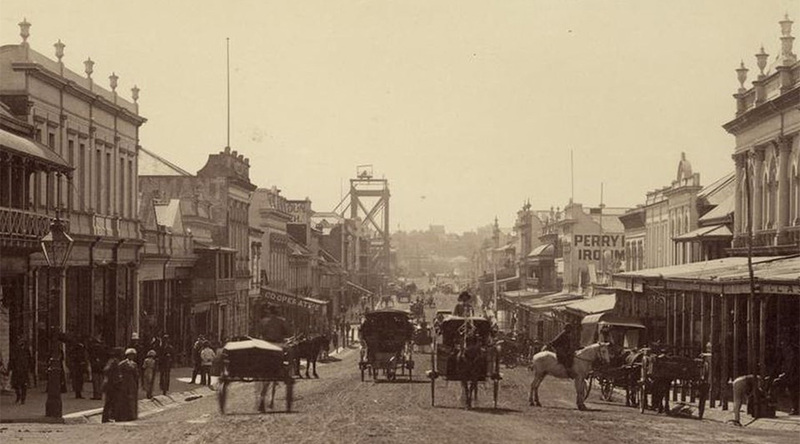 Museum of Brisbane’s latest exhibition will offer an amazing visual portrait of a lost city – Brisbane at the turn of the 20th century – through a rare collection of photographs, all shot by a single resident, Alfred Elliott. Opening on 13 February, The view from here: The photographic world of Alfred Elliott 1890 – 1940 will showcase his life’s work, offering a fascinating story of the places he visited, major events he witnessed and intimate glimpses into his family life. This was a significant time of change, population growth, advances in technology and significant global events and social change. Elliott’s work also captures significant moments in Brisbane’s history, including the Duke and Duchess of York’s visit in 1901 and the farewell of the troops aboard SS Cornwall from Pinkenba in 1899. The historic collection of glass-plate and film negatives remained stored in cigar boxes under a house in Red Hill until they were uncovered in 1983 and acquired by Museum of Brisbane. This significant discovery has allowed the Museum to further piece together fragments of the passionate amateur photographer’s past. The collection provides a window into both his life and the life of a quickly changing city.